The Crimes Circle had been meeting for about five months when the group’s president, Roger Sheringham, brought a special guest to one of their dinners. The guest, Chief Inspector Moresby of Scotland Yard, provided the evening’s entertainment in the form of a problem that had been vexing the police. Joan Bendix had recently died after eating some poisoned chocolates. The chocolates had been given to her by her husband, Graham, who had obtained them from Sir Eustace Pennefather when they happened to meet at their club. Sir Eustace received the chocolates in the mail as a free sample—a free sample that in retrospect looks awfully suspicious. Sir Eustace has plenty of enemies, but the police cannot figure out which of them might have sent the chocolates, and so Moresby is bringing the case to the Crimes Circle. 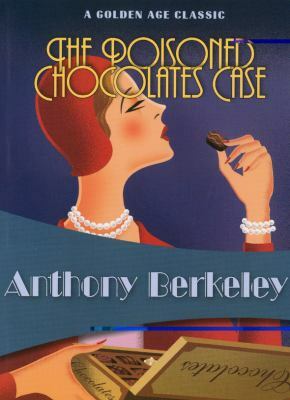 And so we have the problem of the 1929 novel The Poisoned Chocolates Case by Anthony Berkeley. Sheringham was confident that this group offered “more solid criminological genius” that you would be likely to find anywhere. After all, “entry into the charmed Crimes Circle’s dinners was not to be gained by all and hungry. It was not enough for a would-be member to profess an adoration for murder and let it go at that; he or she had got to prove that they were capable of worthily wearing their criminological spurs.” So far, only six people had met the requirements for entry. The group members agreed to each take a turn a proposing a solution to the poisoned chocolates mystery, and over the course of the next six weeks, they each shared their solution with the group. The book’s charm is not so much in the mystery but in the unveiling of each character’s approach to solving it and the tearing down of each solution in turn as the members of the Circle react to each proposed solution. Each suggestion seems plausible, yet each one contains some flaw. As the book goes on, group members build on others’ findings, and the discussion gets contentious. It doesn’t help that a few of the members have a personal connection to the case. A few aspects of the story are quite predictable. The way it’s structured makes one aspect of the ending nearly inevitable. But the fun of the book is in watching the club members tussle over the case. I had a vague sort of theory about the case myself after reading the set-up, and I enjoyed seeing the club members hover over some of the same ideas I considered. Anthony Berkeley is actually the pen name for Anthony Berkeley Cox, a Golden Age mystery writer who also wrote under the pseudonyms Francis Iles and A Monmouth Platts. As Francis Iles, he wrote the marvelous Before the Fact, which was the basis of the Alfred Hitchcock film Suspicion. (It occurs to me, having just seen Gone Girl this weekend, that Before the Fact and Gone Girl would make interesting companion reads. They have a lot of themes in common.) This book doesn’t have a lot in common with Before the Fact, but it’s excellent in a different way. If these two books are representative of the quality of Cox’s work, it’s unfortunate that he’s not more widely known today. Back in the day, I read quite a few of the novels of Berkeley and Iles (though not, so far as I can recall, any by Platts). I thought the Iles ones were pretty okay, the Berkeley ones less so; some of the political notions in the latter were a bit yukky. Overall, though, Berkeley/Iles was a perfectly good mystery writer, and I’m sorry to learn he’s been so forgotten today. There were a few thoughts about women in this that made me wince, but nothing I wouldn’t expect in a novel from the period. It does seem that maybe I’ve read his very best, but I’m interested in looking for more, especially of his Iles books. Thanks for the reference to yet another mystery writer (for my mystery-loving mother). 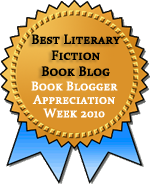 Are all Berkeley’s novels even under the other noms de plume mysteries as well? My impression is that they’re all mystery/crime novels, with the Berkeley ones being more typical detective stories and the Iles ones being more psychological crime novels. But that’s just an impression. Perhaps @realthog could weigh in, since he’s read more of his books. Perhaps @realthog could weigh in, since he’s read more of his books. Alas, it was in the early 1970s that I did so, so my memories are hazy. I think you’re more or less right in what you say: the Berkeley ones are standard tecs and the Iles ones much more Geoffrey Householdy. But I could be quite wrong. Another name to add to the list. Sometimes I think I read altogether too many crime novels and then I remember how much I enjoy them! I think we’ve discussed before how crime can be comfort reading. It certainly can for me. I enjoyed this one, and I’very been looking for his other books under the different names. But it will probably be inter-library loan for me as well. My library has a collection of this stories, and that’s it. I got both of his books that I’ve read from PaperbackSwap. It looks like this is the only one of his books in print. I think the non-fiction book I finished yesterday, The Devil’s Gentleman by Harold Schechter, mentioned this book as one of the stories inspired by the real-life Molineaux murder case (poisoned medicines sent in the mail to the victims). Imagine living in a time when you could get unsolicited and anonymous candy or medicine in the mail or on your doorstep and would feel free to just go ahead and take/eat whatever it was. Craziness!